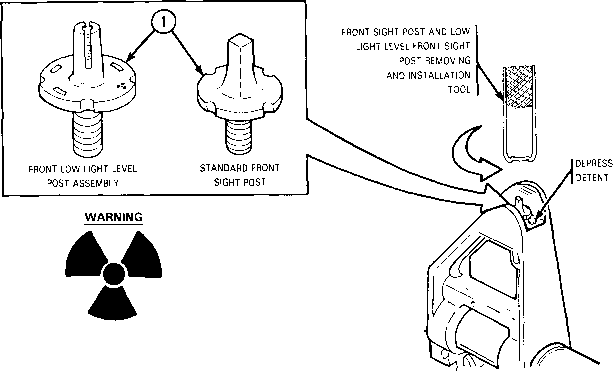 Ensure barrel is clean prior to performing the following test. (a) Check straightness of a chromed or unchromed barrel using straightness gage (6) PN 8448202. Put gage in barrel. Tilt barrel and allow gage to fall through. Catch gage. 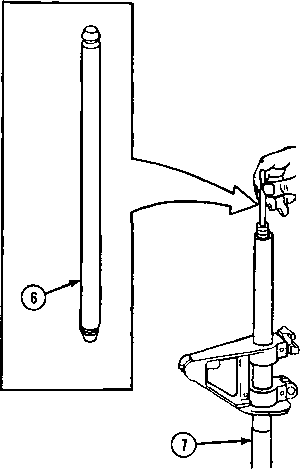 (b) Gage must pass freely through barrel. If the gage does not pass through the barrel, recheck as follows: Hold the upper receiver and barrel assembly (7) in a vertical position with the muzzle pointed down; insert gage into chamber end of barrel. Release gage and catch it as it exits the muzzle end. If the gage passes freely through the barrel, the barrel is acceptable. If it does not, the barrel must be straightened or replaced. (See p 3-29 for straighten instructions/procedures).